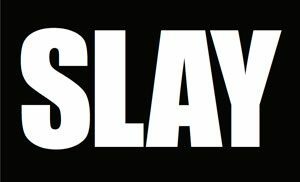 © 2018 Slay Agency. All rights reserved. A successful social marketing campaign has to be consistent, persistent and prolific. It also needs to inform, inspire and/or influence your audience or it will be short lived. We research and analyze your industry and market before designing any social marketing campaign. While there are many best practices we utilize, each campaign is custom tailored to your company, industry and market. We also determine the best platforms and channels for the campaign specific to your needs and goals. Copyright © 2018 Slay Agency.